VILLAS AND APARTMENTS TO RENT IN LOMBARDY, ITALY. 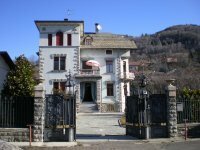 Welcome to our selection of holiday homes to rent in Lombardy, Italy. A holiday in Lombardy gives you a peek into a place that is teeming with art, fashion and holiday activities. A trip here is quite an enriching experience. The Duomo Cathedral is the second largest Catholic Church in the world. When it was built, it could hold the entire population of Milan. The structure will have you admiring the striking exteriors with its many spires, while the inside is also spectacular. You can also go up to the top of the Church to admire the gargoyles and take in a view of the city. Move on to the old town, which is quite a charming place to visit. The cobbled streets with the lovely shops have a picture postcard feel to it. The beautiful Churches that dot the area and the numerous restaurants along with the cable car ride, old sites, botanical gardens and great views make for a wonderful time. After this, head to see the Last Supper, which is one of the most amazing things to see in Italy. This iconic piece of art is quite remarkable and a must see when in Italy. The Museo di Palazzo Ducale is among the most beautiful palaces in Italy and you can spend hours admiring the exquisite frescoes that are quite extraordinary. The Ambrosiana Library and Picture Gallery house a rich collection of exhibits from classical manuscripts to Leonardo�s and Raphael�s works. Take in some eccentric sights at the house of the poet Gabriele d�Annunzio at II Vittoriale. There are some amazing displays that are quite fascinating. A trip to Lake Como charms you with its mix of beauty and serene atmosphere, along with the scenery, which is spectacular. You can see some exquisite sculptures at the Certosa di Pavia, which is actually a monastery. How can you not visit the La Scala Opera while here to enjoy some music? The theatre is beautiful to the point of being a work of art and a visit here is a fabulous experience. Take a trip on the Funicular Railway that provides you with some amazing views and photo opportunities. It ends in a quaint village at the top, which you can explore. You can also make this trip at night if you want to see the city lights below. Looking for self catering holiday accommodation in Lombardy? Then below is a selection of Apartments in Lombardy and villas in Lombardy that can be rented direct from their owners. You can either click on each listing for further details or you can use our search engine on the left if you are looking for something in particular.